Davies Molding was just featured in an article for AMM. Below is a copy of that article. If you would like to see the publication online, please visit AMM.com and sign up for the free trial to view it. NEW YORK- Davies Molding LLC, part of industrial holding company Heico Cos. LLC, plans to market an innovative biodegradable frac ball for fracking operations. The latest Davies Descender frac ball, which can be used in hydraulic fracturing applications, dissolves quickly in plain water and low temperatures, Davies Molding national sales manager Tim Hansen told AMM. Most frac balls are tougher or slower to dissolve and require special chemical mixes, he said. "Standard frac balls (are) put down there and they're composites or metal even, and so you have to do a clean out with drills, and everything is very costly. "Ours go down. They don't stick. They're in position, and in hours they dissolve," Hansen said. "They don't change the composition of the oil. They don't need harsher chemicals to dissolve them- they dissolve with just plain water." A specific polymer resin and its chemical composition are key to the technical properties of the new Davies Molding frac ball, according to Hansen. Davies Molding has an exclusivity agreement with one company that makes the polymer, he said, but declined to reveal the company. "The chemical is out there, but we developed it for this application," he said. "It's a standard item out there. We have (partnering) with us a very large manufacturer of plastic products (that is) able to mold it at high capacity for this application." Davies Descender frac balls are made of compostable and eco-friendly materials, and can withstand the high pressure and temperatures seen during fracking, although they later dissolve quickly, according to Davies' marketing material. The Carol Stream, Ill.- based company plans to market the new product line at the Offshore Technology Conference in Houston in May and at other energy conferences. Chicago- based parent company Heico recently restructured its approach to sales into the energy sector, rebranding a new unit as the Heico Energy Services Group, of which Davies Molding is a part (http://www.amm.com/Article/3434900/Heico-renewing-push-into-energy-with-reorganization.html). It is estimated that up to 100,000 deaths per year result from Hospital Acquired Infections (HAI), the vast majority of which are preventable. 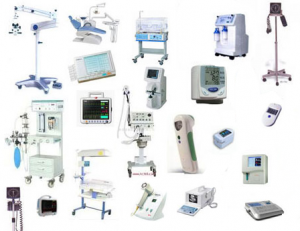 In addition to loss of life, microbial growth can cause odor, staining, discoloration, loss of mechanical properties, as well as other negative effects on medical devices. Davies Molding WithStand is a customized antimicrobial product offering that is compounded into a variety of base polymers and can be a critical part of a strategy to combat surface microbe formation. Please contact our knowledgeable team for additional information at info@daviesmolding.com or 800-554-9208. Davies Molding is introducing a new line of Thermoplastic Adjustable Button Handles that are fully featured, but economically priced. The handles are ergonomically designed and perfect for various industrial applications. These levers have proven to be ideal wherever parts have to be clamped in a confined space or in a particular lever position. The Thermoplastic Adjustable Button Handles are constructed of glass fiber reinforced thermoplastic with a molded in metal insert or projecting stud. Pulling the lever upward disengages the serrations, allowing it to be swiveled to the ideal clamping position. On releasing the lever, the serrations automatically re-engage. If you would like additional product information on our new handles, please contact our knowledgeable customer service team at info@daviesmolding.com or 800-554-9208. Davies Molding has been working hard at adding additional products to our already extensive product offering. We have just added leveling mounts to our product line. We have 2 different styles of leveling mounts that are sure to meet your application needs. Our Nylon Base Leveling Mounts are a quality and economical solution to your leveling and height adjustment needs. The tapped socket and threaded stud swivel freely 15 degrees in all directions. The optional pad is used for non-skid, noise and vibration reduction. The unique solid squared pattern on the pad provides for a more positive non-skid surface. These nylon leveling feet are ideal for industrial equipment and industrial applications. The other style we added are Sanitary Leveling Mounts, which have been designed to meet the requirements of the food and beverage industries. These leveling feet have earned the equipment acceptance certificate of the USDA. The threaded stud has an adjustable height sleeve that covers the thread and the rubber underlay which is vulcanized into the foot. The tapped socket has a solid rubber pad that is firmly embedded in the sheet metal base and secured by a screw loctited into place. If you would like additional product information on our new leveling feet, please contact our knowledgeable customer service team at info@daviesmolding.com or 800-554-9208.